Developing and improving land productivity and accessibility. Increasing and developing fodder production, animal breed and pastoral areas. Improving and expanding fish farming. Strengthening households’ economy and marketing mechanism in favor of the small producers. Supporting and expanding application of renewable energy. Protecting and developing local seeds among producers and consumers. Establishing of business oriented models/ economic entrepreneurs with partnerships among private sector –farmers’ bodies. Developing microfinance products for agriculture development. Improving crop pattern and diversity based on consumer needs. Improving the quality of local products. Developing and strengthening Palestinian branding, trade market and certifications. Improving the efficiency and effectiveness of the extension services program. Improving and encouraging applied research and innovation. Strengthening skills and capacities of workers in pre and post harvesting. Strengthening and empowering farmers committees. Supporting cooperation and networking among different stakeholders. 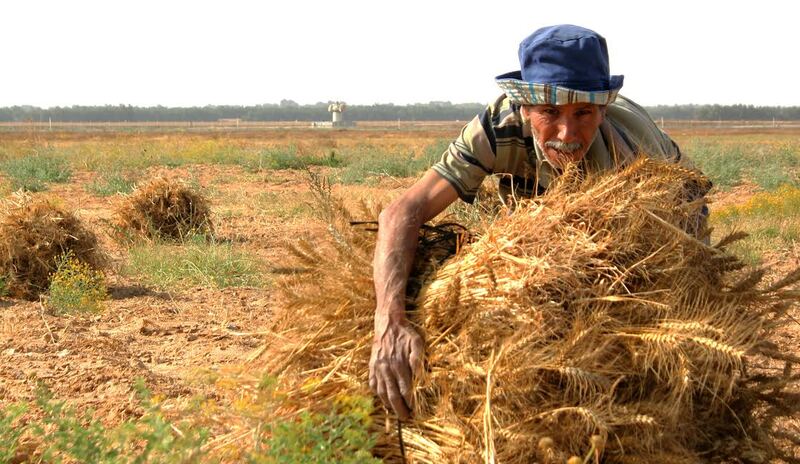 Holding the occupation accountable towards Palestinian rights related to the agricultural sector and rural areas. Pursuing the Israeli’s occupation to protect farmer’s rights and compensate them for damages. Supporting farmers’ efforts in prosecuting Israeli’s occupation. Drawing attention to the situation at the checkpoints and crossing borders. Monitoring and documenting the movement of the Israelis’ product in the Palestinian markets. Supporting farmers’ initiatives to invest in their agriculture lands behind the apartheid wall. Encouraging and promoting the presence of local products. Boycotting of the Israelis’ settlement products. Raising the Awareness of the solidarity groups to magnitude of the Israeli’s violations to the rights of producers and farmers. Creating an enabling legal environment and governmental policies for the development of the agricultural sector and rural areas. Development of an economic incentive’s package for agricultural rural areas. Support and development of different risk insurance and emergency response systems. Protection of the agricultural farmland usage. Developing of Palestinian Standard and specifications. Developing of Brand name – trade mark. Organizing awareness campaigns in the field of legislation governing system. Developing a pattern of holding the private sector accountable to the farmer’s rights. Development of the agricultural census and linked them with the development plans. Developing of farmer’s health insurance. Monitoring of local policies and strategies. Enhancing the role of agricultural cooperatives and grassroots institutions working in agriculture and rural development. Promoting collective ownership of production inputs. Developing mechanisms of collective purchasing. Upgrading infrastructure of marketing and production. Developing governance system and practices. Enhancing PARC’s efficiency, effectiveness, sustainability and accountability. Ensuring PARC’s sustainability (efficiency & effectiveness). Fundraising by ensuring diversity of resources. Developing the organization’s property returns and investments. Developing logistical support and information and communication systems. Strengthening the governance in the organization. The formation of employees committees.